I'm new to unreal engine , simply I want render a object always top. I found a solution that used Translucent and Disabling Depth test It works but It have problem! 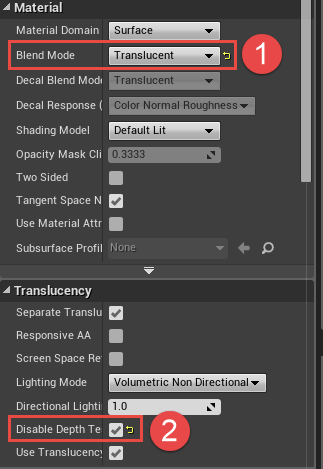 when I use Translucent I can't have PBR Material this Is mean I can't access to Metallic or Roughness.I believe this Isn't good solution because why should I use Translucent type while It's opaque.Unfortunately I did not find another way.In unity I easily use Depth test by using ZTest Always but I can't find equivalent In unreal 4. Note that I don't want use tricky ways because I believe Depth test Is the best way.